More than 40 years of experience in working marble make Industria Marmi Ferrari an unmissable feature in the marble sector and in the manufacturing and selling of tops and marble kitchen. Our kitchen floors in marble or other natural stones are available on a standard or custom design. In our works we only use self-producted materials, all available with different finishes: polished, antiqued, brushed, smoothed, sandblasted, rolled, scratched, and bush-hammered. Not only kitchen counters but also full kitchens, complete with all pieces of furniture such as solid marble sinks, decorative inlays and natural stone frames. 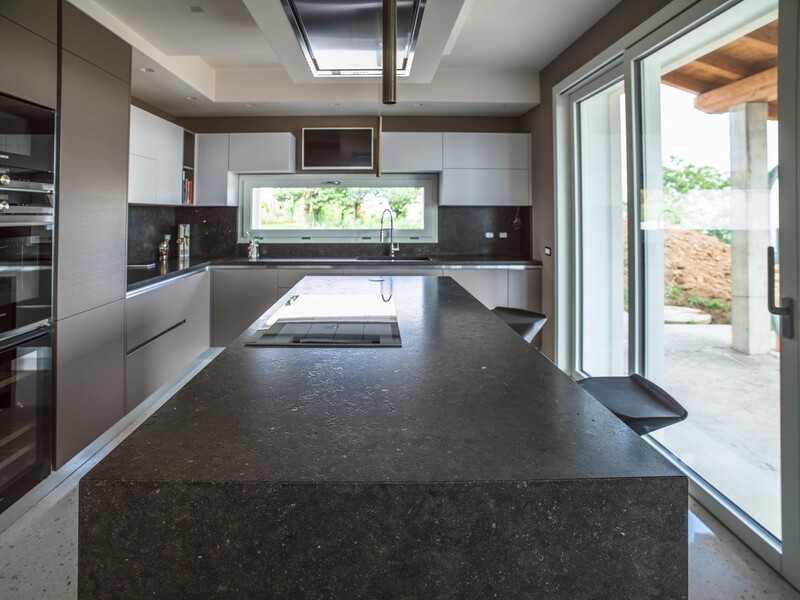 Models available on specifics and in different materials including marble and technical quartz, onyx and agglomerates (all of the also available for marble kitchen top with lightened substructure). Our marble kitchen countertops are available in different thicknesses, with different finishes and in different varieties, such as kitchen tops in white Carrara marble, tops in pink marble, black marble kitchen tops, kitchen counters in solid marble, travertine kitchen counters. We also make coatings for kitchen countertops with marble backsplash and solid marble sinks. 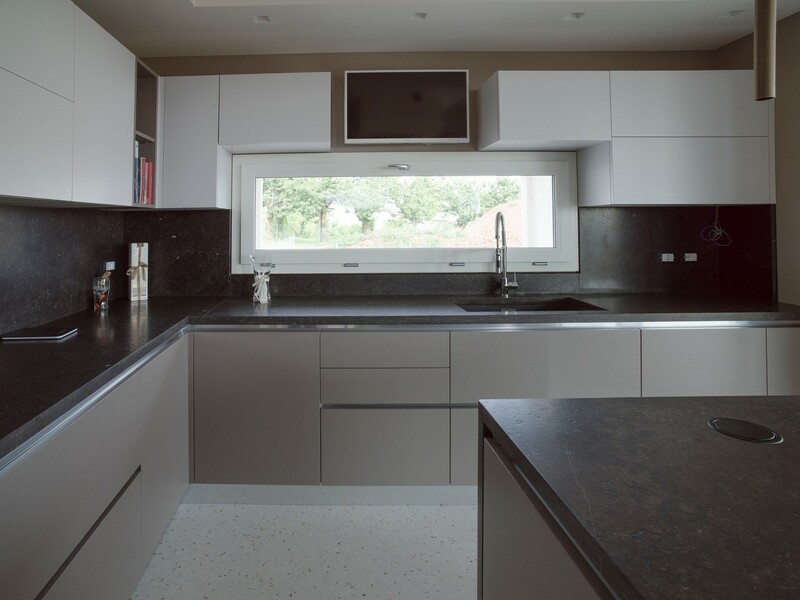 Costs for tops or marble kitchen countertops vary depending on material, finishes and measures. Our projects are developed and designed by our technical department according to the needs of the customer.